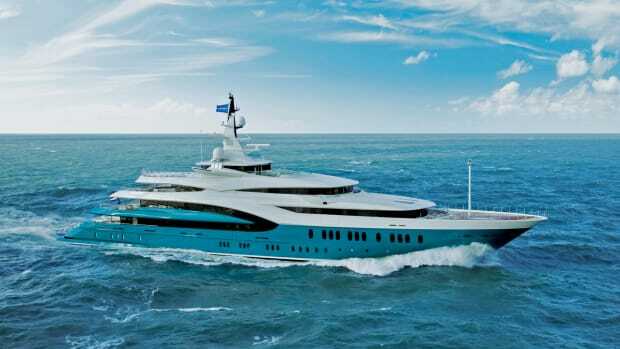 This superyacht launched as Boadicea, Queen of the Iceni Celts, whose history is both bloody and glorious. She was defeated in 61 AD when 10,000 Roman legionaries annihilated 200,000 of her soldiers. 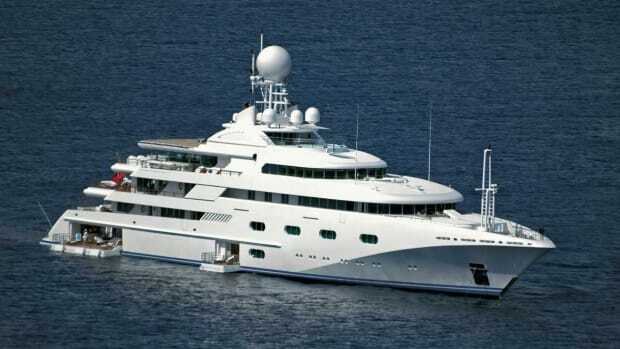 Boadicea played the politics and war game brilliantly and perhaps that is why her ex-owner, Australian game show producer Reg Grundy, named his yacht. 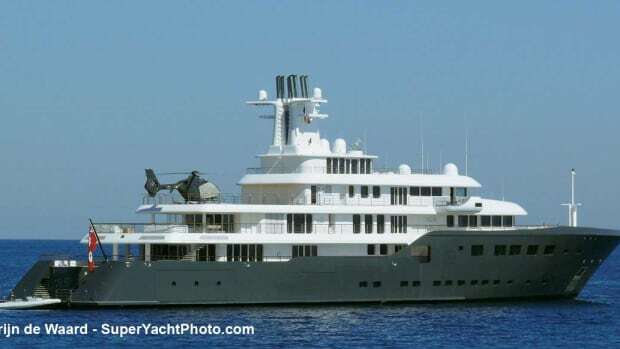 The Amels shipyard built the 231-foot (70.5-meter) custom yacht with a Terence Disdale design in 1999. After navigating extensively, Grundy sold the yacht near the end of 2009. 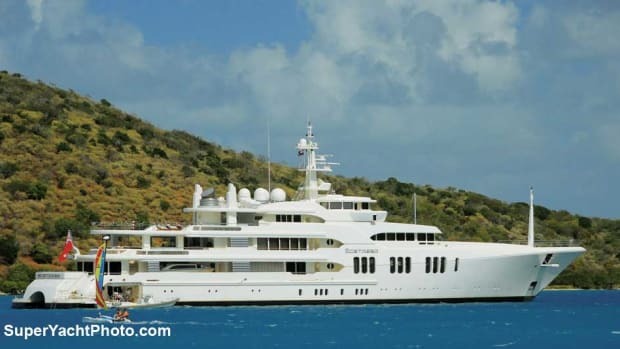 Her new European owner had big plans for this stylish and highly credentialed yacht, which he transformed to charter and eventually resell. 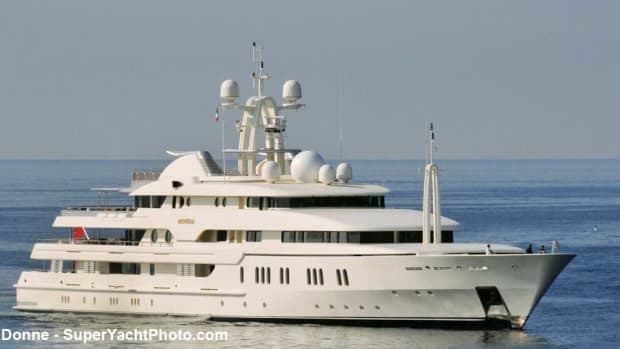 A major refit at Amico & Co. in Italy, under the guidance of Sterling Scott Yacht Designs, replaced the yacht’s distinctive radar arch and characteristic round dome, dressed the steel hull in a new hull color, extended the stern and completely restyled the interior. The main living area has a spectacular new 16-foot atrium, surrounded by a gallery filled with windows, which are also found in the owners’ panoramic stateroom and huge VIP. The spacious sun deck features a good size pool, and the beach club is complete with an attractive sauna. 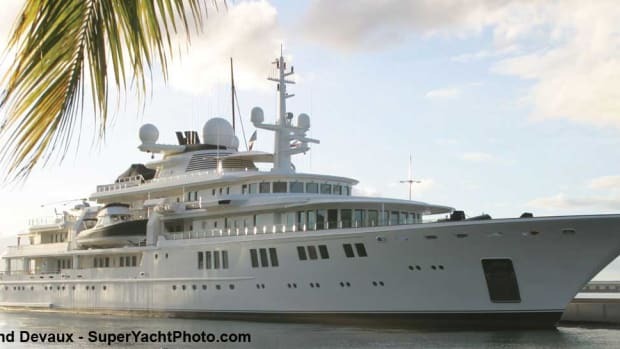 She also boasts a seldom-found attraction on a yacht—a large tropical garden. 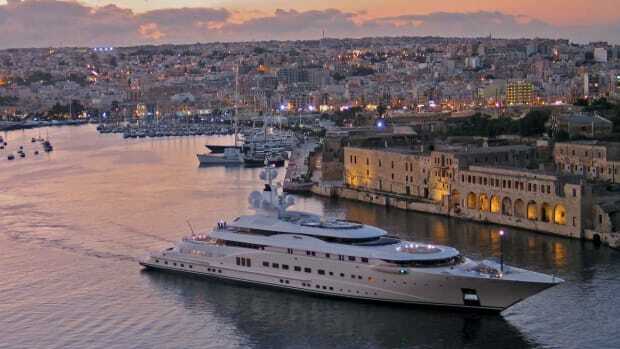 Reborn, which has a total of eight staterooms, provides the best of comfort and entertainment to 12 charter guests, attended to by a crew of 25. Zero-speed stabilizers and twin 16-cylinder Caterpillars ensure comfort whether at anchor or cruising at 14 knots. 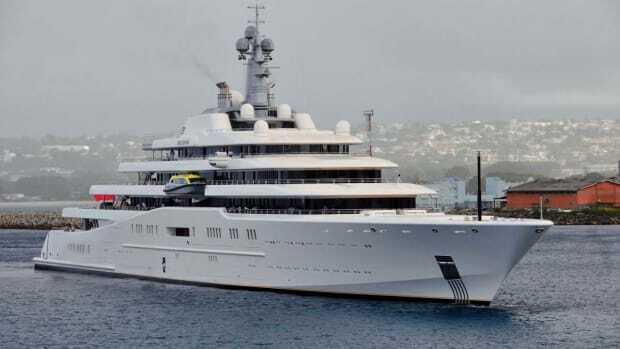 An extended list of toys includes two Vikal tenders. 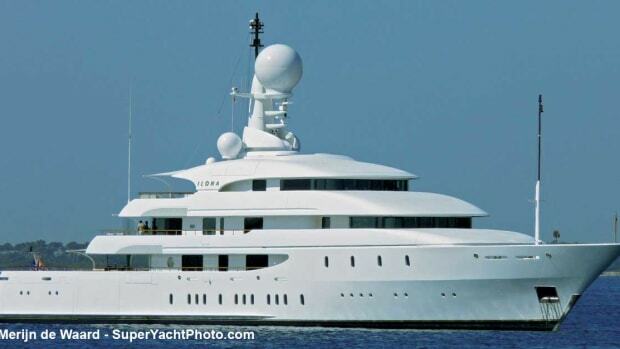 The yacht also has a helipad.